Game of Thrones is still over a month away, but there’s no reason not to keep blogging about it. If you’re up on the storyline and have any interest in some off-beat comparative religion talk, you have come to the right forbidding, chilly seaside. Located west of the Riverlands across Ironman’s Bay, the last stretch of dry land before one enters the endless Sunset Sea, you’ll find the Iron Islands. 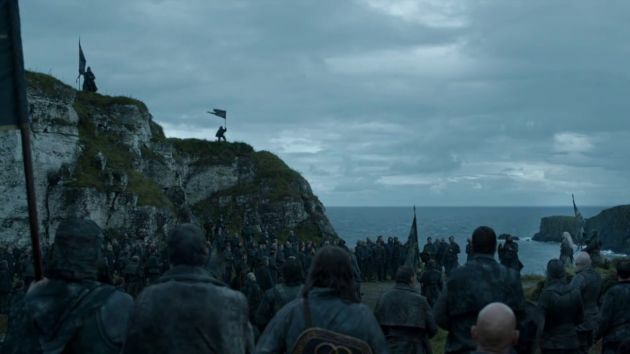 Before the advent of dragons in Westeros, the Ironmen of those rocky metal-rich islands held tremendous sway over the people of Westeros. The Riverlands and all people who lived within the sound of the waves paid tribute to keep axe-wielding torch-brandishing reavers from their doorsteps. The Ironmen consider themselves a breed apart from the other inhabitants of Westeros, with cultural differences that include a specific faith not followed on the mainland. The Ironborn do not hold with the Old Gods or the New, but instead worship the Drowned God who dwells beneath the waves. The religions that Martin has set up for the inhabitants of Westeros are also similarly examined for real world references. I’ve often noticed an assertion that the successive waves of religion in Westeros (Old Gods, New Gods, and the Lord of Light) are parallels for religious development in England, with the animism/paganism of the Britons making way for the Romans and their polytheism, which was later replaced with Christian monotheism. This isn’t the craziest of ideas, although it’s not super-solid. The Seven of the New Gods aren’t really seven gods, they are seven aspects of one kind of ambiguous and impersonal divine force. That ends up being more monotheistic in nature, whereas the Roman gods (and the Greek gods from which much was borrowed, mythically) were definitely imagined as quite distinct and separate. And the religion of the Lord of Light is reportedly taken by Martin from Zoroastrianism, one of the oldest religions in the world, so it’s not the best fit for Christianity. Now, before you set me on fire for heresy, hear me out. As Christianity spread throughout Europe, how it was presented to the various localities varied. In Anglo-Saxon England and Scandinavia, two areas heavily influenced by Germanic culture, adoption was often most successful when Christ was presented as a strong lord in the Anglo-Saxon mold. A strong, victorious lord. Victorious over death. Wait, I hear you say. How do you know? It’s not like you were there! Fair enough. I’ve had friends of mine (who tend to lean pagan in regards to religion) insist that the leaders in Scandinavia were just pretending to convert to Christianity, for political reasons. Because why worship Jesus when you can worship Thor? I imagine my heathen friends consider the Christian missionary’s approach in the 1989 film Erik the Viking as representative. Harald the Missionary: You don’t believe in this Valhalla nonsense do you, hmmm? Harald the Missionary: Fine, fine. Just checking. But conversion did happen. Often at the top. Aldhelm: When you get a chance to talk to the earl, don’t forget to refer to the apostles as thanes, and that by defeating death, the warrior Jesus granted eternal life to his retainers and followers. Bede: How about some Book of Revelations stuff? Satan’s defeat and so on. Caedmon: Excellent! There’s even dragons in that. Bede: When should I talk about forgiving one’s enemies, turning the other cheek, all of the “love thy neighbor” stuff? Aldhelm: Uh, let’s try to focus on victory over death to start things off. Get Easter on the calendar first. 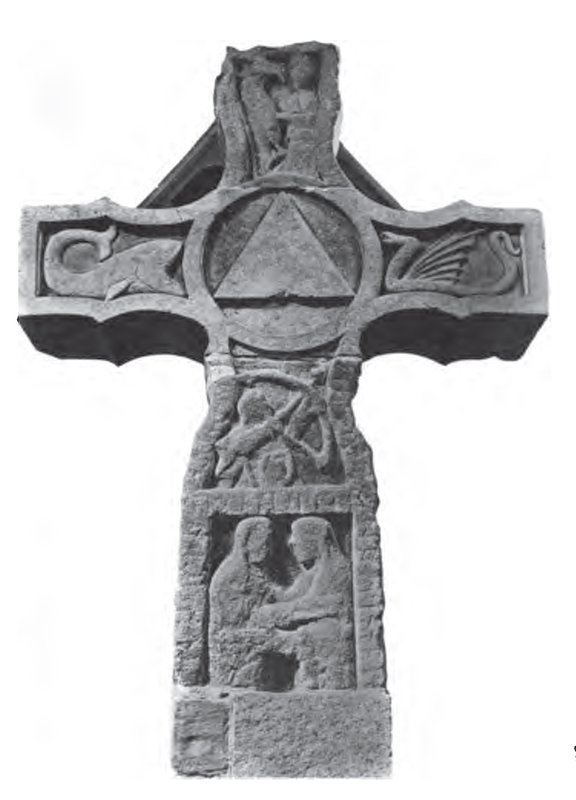 Instead, working with the idea that Christianity found purchase with the Anglo-Saxon people around the 6th century or so (or at least the Saxon aristocracy who then legislated on its behalf) because of the victory over death concept, it’s worth noting that that core similarity can be found in the worship of the Drowned God. The show is maddeningly light on details, so you show watchers reading this will have to forgive me harping on book information. The legend of the Drowned God literally has the god drowning below the waves, yet being too mighty for death to claim and rising from the sea reborn, harder and stronger. The god is said to have done this for the sake of his followers, the Ironborn, who no longer need fear death by drowning. Fearless and godly men who are given to the sea for burial could look forward to an afterlife of feasting in the halls with their deity. This often applies to warriors and raiders, whose occupation brings with it the risk of drowning. Part of ritual worship or observance of the faith involved various degrees of baptism, from water being poured on the head, to the extremes of literally drowning a participant. Drowning with the goal of resuscitating the drowned person afterwards. Hopefully. 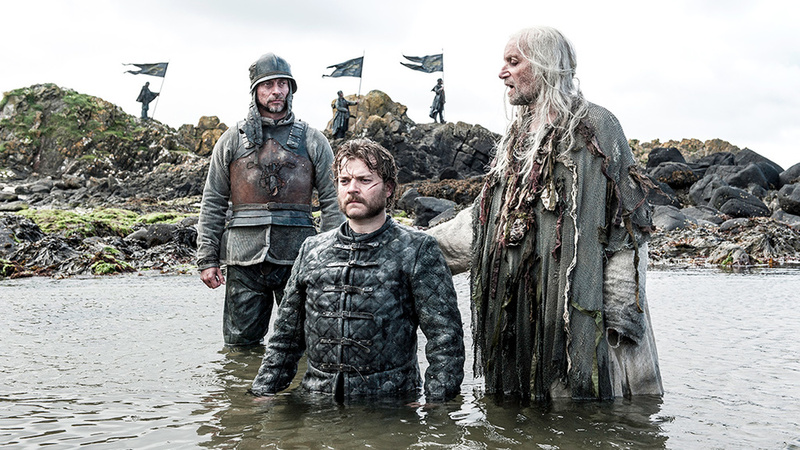 The show injected some kind of overt supernatural aspect to the drowning process, where Euron Greyjoy is drowned and left to lie unassisted on the ground until he inexplicably expelled the seawater. 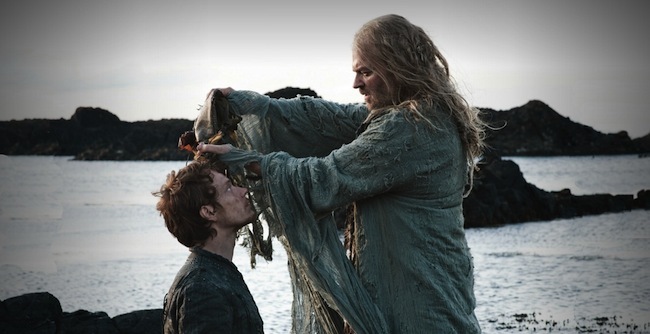 Euron: If I don’t come back to life inexplicably, drown yourself and beg my forgiveness. Don’t get me wrong, I’m not trying to say that the religion of the Drowned God is synonymous with Christianity. Certainly the Ironborn don’t seem Christian in any way that my Methodist upbringing would recognize. But they don’t seem that far off from how the 6th century Anglo-Saxons might have been. 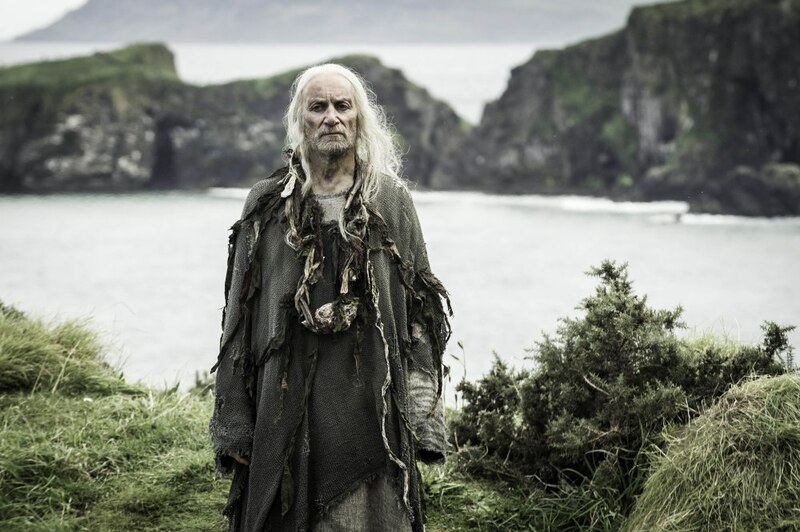 Martin has said that the Ironborn were inspired by Vikings, with the Drowned God and his watery hall a nod to Odin inviting brave warriors slain in battle to dwell in Valhalla, but language in the books suggest that the Drowned God accepts the faithful who are given a burial at seas, rather than only accepting fallen warriors. The Drowned God also does not seem to be part of a pantheon, other than having an antagonist Storm God whom the Ironborn do not worship. In this manner, the religion of the Drowned God is closer to a qualified monotheistic setup, much like the worship of R’hllor which has one god and the wicked evil Other. The Viking era occurred a few centuries after widespread adoption of Christianity in the Anglo-Saxon lands, but eventually Scandinavia was converted in a similar process that succeeded in England with Christ presented first and foremost as a victorious hero figure. A figure who was recognizable in the context of the local beliefs. I’m presenting this not so much as to make the case that the Ironborn are actually representative of early Anglo-Saxon or Scandinavian Christians, because honestly I’d rather the Ironborn be appreciated within their own context in the story of A Song of Ice and Fire. But if real world religions are to be used as a lens to view the religious cultures of Westeros, I think it would be wrong to just look at the Ironborn from a watered down Norse pantheon perspective. If people insist on viewing the cultures and traditions of Westeros through the lens of our world’s history, it’s valuable to use that process as a mirror and view the interesting and complicated truths of our past. The past is not always what we think it was. Okay, bringing up real world religion can be fraught with danger, as well as comparing *anyone* to the Ironborn. If I’ve given offense, let me apologize, but also I’d be happy to discuss the matter in the comments. In theory, we’re all enlightened enough to talk religion without having to drown people or set them on fire. I’ve heard this comparison between the Drowned God religion and Christianity, and it makes sense, particularly with regards to the points you made on early conversion of pagan groups in Northern Europe. The Faith of the Seven always struck me as more like Catholicism, with the emphasis on ritual and practices and traditions. It’s true that the Seven seem much more akin to the aspect of the Trinity (three in one, and one in three) than a separate pantheon. I think people have to realize that just because these fictional religions draw inspiration from real religions, it doesn’t mean they’re exact parallels. You have to read between the lines somewhat. With regards to the Drowned God specifically, I’ve heard some interesting theories about him being the Great Other of which Melisandre speaks (he’s cold and water and darkness, while Rhollor is heat and fire and light). I only watch the show, but I’ve read talk of Patchface’s bizarre prophetic songs and how he might have been revived by the Drowned God as Jon was by Rhollor. With Patchface not being in the show, I guess it won’t matter, but Melisandre’s visions of Patchface surrounded by skulls and blood really intrigues me. I have a Post in a few weeks that will mention Patchface! I am glad you brought him up, and him being a drowned man. The Drowned God being the Other from the religion of the Lord of Light is a good supposition. I definitely saw the monotheistic aspects of the Faith of the Seven as compared to the Holy Trinity. I believe I read somewhere that it’s supposed to be in line with Catholicism and the Faith Militant is similar to the Templar Knights. As for the Drowned God, I never thought about the whole idea of death and resurrection with them, but I wouldn’t discount it. I saw that religion more in line with Lovecraft’s Cthulhu though with it’s sleeping god beneath the waves *shudders* and Martin has used more of HPL’s influence elsewhere. It’s a bit obscure, and I don’t even know if it’s in the main books only in TWOIAF, but there’s mention of the Church of the Starry Wisdom in the parts about/around Asshai (which is a direct Lovecraft reference. One of his stories is either named that or about that), and the black stone that the Seastone Chair is made from and that’s found all over Planetos is another direct reference to the father of horror. You’re right about the Church of Starry Wisdom, there’s a branch of that faith in Braavos, Arya sees it on her way to the House of Black and White. I didn’t bring up the Lovecraftian connection in this post, since I wanted to focus on my Anglo-Saxon comparison, but in other posts on Westeros religion, I’ve compared “what is dead may never die” to the Cthulhu couplet “it is not dead that can eternal lie” – so you and I are on the same page. I’m glad that bit of info didn’t steer me wrong! Ah good point, you were basing your post on historical groups so that makes sense. Lovecraft would be more comparative writing since it’s not a true religion or it’s not a religion that didn’t arise out of a cultural mindset, but rather an author’s nightmares (dear God I hope the Cthulhu pantheon/mythos isn’t true. I have enough problems).